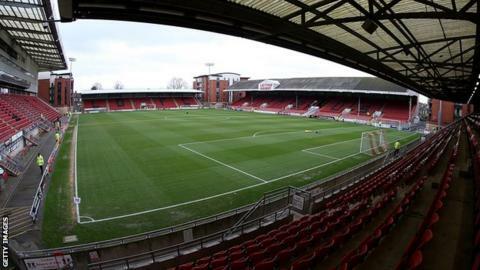 A winding-up petition against Leyton Orient has been dismissed at a High Court hearing in London. Orient owed money to four creditors on the petition, having resolved unpaid taxes with HM Revenue & Customs. Owner Francesco Becchetti was given until Monday to pay off debts or sell the relegated League Two club following a previous High Court hearing in March. Those creditors on the petition have been paid, although it is understood other creditors remain. There is no indication as to how many other creditors there are, but they did not support the winding-up petition. Outside the High Court on Monday, Orient fans could be heard protesting against Becchetti, who took over the club from Barry Hearn shortly after they lost the League One play-off final to Rotherham United at Wembley in 2014. Following the dismissal of the petition, Matt Roper from the Leyton Orient Fans' Trust (LOFT) urged Italian Becchetti to sell the club "urgently to any new responsible owner". He told BBC Sport: "We're using a word survive [after the petition was dismissed] but it's almost a word you can't use. Our survival is almost week-to-week at the moment. "Our future is being played out in the High Court, we have a very thin squad, there's no guarantees we can actually put a team out next year. So survival, yes, but in the very thinnest sense of the word." Omer Riza, the club's 11th manager under Becchetti, is only contracted until 30 June and the club have lost most of last season's squad, leaving uncertainty surrounding the club on the pitch as well. Adam Michaelson, legal advisor to LOFT, said: "We're not in a position to say what is going on. The communication we've had is absolutely zero. "All we know is what we can see, which is nine junior professionals, no seniors, no access to a training ground, no shirts, no training tops, and they're due back in pre-season in the first week of July." Orient were relegated to non-league this season, their second relegation in the three years under Becchetti, ending their 112-year stay in the Football League. After the club's staff were not paid in March, Hearn resigned from his position as honorary president and the English Football League said it was "exceptionally concerned" by the club's situation. At the previous court hearing that month, chief executive Alessandro Angelieri gave the court a statement saying Becchetti, who in January said he would be willing to consider selling the club, would invest £1m to pay off remaining debts in eight to 10 weeks. Orient announced in April that they had paid all salaries and cleared their debts with HRMC.